Opening films are tough to pick. A chance to promote a particular artistic vision, they also have to be star-powered and accessible enough to fill seats for a good first day showing. So begins the 70th Edinburgh International Film Festival, running from the 15th of June to the 26th of June, offering world premieres, talks with stars like Kevin Smith and Kim Cattrall, and various retrospectives, including 70mm screenings, the best of Finnish cinema, and the first generation of comic book adaptations. Since his start as artistic director of the 69th Edinburgh International Film Festival in 2015, Mark Adams has made a point to highlight Scottish cinema. Last year's opening and closing films, The Legend of Barney Thomson and Iona respectively, were clear indications that the spotlight was to shift more towards homegrown talent. This year's 70th edition of EIFF continues this trend, with Jason Connery's golf biopic Tommy's Honour opening and Gillies Mackinnon's adaptation of the 1947 classic Scottish novel Whiskey Galore closing. Additionally, this year features a 20th-anniversary screening of Trainspotting and even a bespoke festival tartan commissioned to celebrate seventy years of the world's oldest continuing film festival. Opening films are tough to pick. A chance to promote a particular artistic vision, they also have to be star-powered and accessible enough to fill seats for a good first day showing. By choosing director Jason Connery's debut Tommy's Honour, however, the first film of the 70th EIFF is a swing and a miss. Set during the formative years of both modern golf and its protagonist, the professional golfing prodigy Young Tom Morris (Jack Lowden), Tommy's Honour sticks determinably to the thoroughly well-trodden path of conventional sports biopics. While his traditionalist father, Old Tom (Peter Mullan), is happy with his station in life as caddy and groundskeeper to the elite of St Andrews, modernist Young Tom sees no reason why he should live by the mores of the time or kiss the ring of his supposed betters. Radical in his golfing technique, sense of belonging and choice of love interest, Young Tom fights to the top of nascent professional golf and for the affections of the older and unfairly ignominious Meg (Ophelia Lovibond), while battling his father's attempts to keep him at heel. The simplicity of the above synopsis is culled from what is in practice a wandering and unfocused film. Tommy's Honour never knows whether it wants to be primarily a romance, generational power struggle or a historical class drama, so wobbles between all three. It is most successful when delving into the fascinating story of a classism between the working class caddies and players who give life to the sport, and the upper class 'gentlemen' who occupy the clubhouse and make bets from on high. Early indications that this will be a welcome focus are dashed, however, in favour of soppy star-crossed romance and mawkish family drama. What could have been a great allegory for modern Britain's battles in an unequal society, and a neat parallel with the struggle between the traditional Old Tom and the progressive Young Tom, is utterly wasted. Occasionally the film makes startling misjudgements as it flits from one plot to another. At one point, Tommy is taken by his friends to a brothel as celebration. While they indulge, Tommy instead walks straight to the arms of his darling Meg. I struggled to see what was meant to be gleaned from this moment. Is it there as some declaration of Tommy's love? Are we actually supposed to be impressed? I wasn't. One would hope that a film focused on a champion golfer would at least convey the tension of competition and a sense of golf's appeal, but Tommy's Honour has such little scope, kineticism and variety in its cinematography that it renders the golf scenes duller than watching the sport live. The various scenes of supposedly nail-biting championship games were executed so limply that I found myself forgetting that there was anything at stake, only reminded that they weren't knockabout games with friends when characters remarked upon their importance after. I'll take their word for it. Furthermore, there's so little sense of place on the various links we're dragged to that Old Tom Morris' legacy as a remarkable designer and landscaper of golf courses is limited to a quick conversation about where a bunker should go. Little differentiation is made between one course and the other in a whistle-stop tour of various unexplored greens. With scant on offer to keep the attention, it's an act of charity that the actors give such good performances. 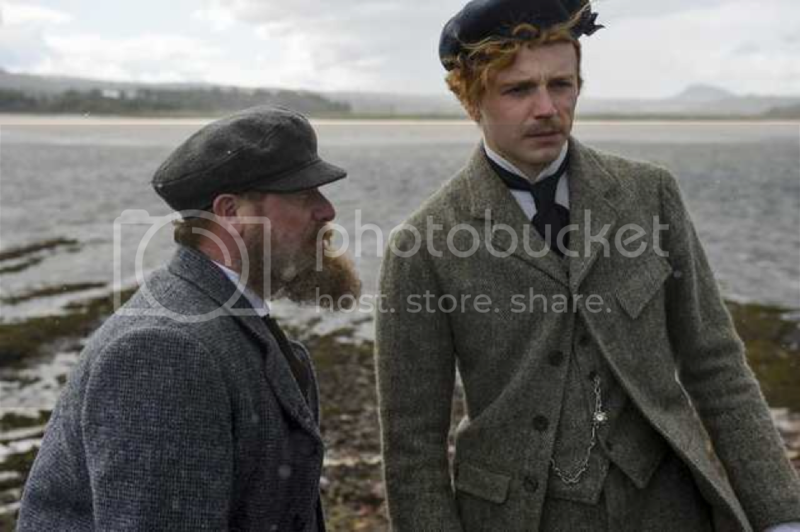 As Young Tom, Jack Lowden impressively realises an all-too-earnest caricature. Peter Mullan could sleepwalk through his part as the gruff but silently loving patriarch, but subtly brings a sombre repression to Old Tom. Ophelia Lovibond as Tommy's wife Meg is the actor that does the most with what little she's given, which is barely enough to remark upon. On the page, Meg is largely there to facilitate Young Tom's development - despite an attempt to bolster her presence with a hack plot about an illegitimate child - but Lovibond 's great work almost justifies the screen time given to the weak romance, and she is responsible for the most touching moments in the film. Tommy's Honour seems desperate for broad appeal, so dilutes what is at the core an interesting, untold story with unnecessary diversions in competing directions. With a staid conservatism reminiscent of a 1970's television biopic, it is also a strange choice to promote modern Scottish cinema. In addition to its pride of place at the opening of the festival, I find it hard to believe such a flat and televisual film is up for the Michael Powell Award for Best British Feature Film. Hopefully this edition of the Edinburgh International Film Festival will provide more convincing evidence of Scotland's cinematic talent during its run. Tommy's Honour will play again on the 26th of June at Edinburgh's Odeon cinema.